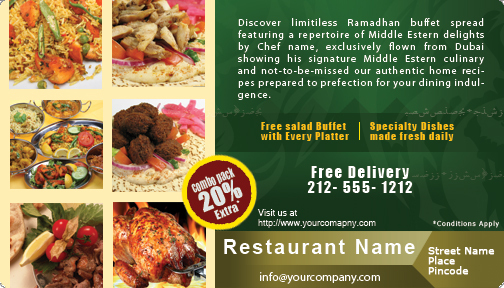 A 4x 7 inches Middle Eastern Restaurant magnets with round corners are usually favored by Middle Eastern restaurateurs working in a limited budget. A suitably customized magnetic sticker can aid in brand building in unusual way. They not only serve as a regular brand building sticker, but also as a refrigerator art, if and only if the restaurateur chooses to deck them up suitably.